If you have a film that was processed some time ago and would like new prints or scans from this film, take a look at our pre-processed film services. Scanning & printing from pre-processed film is slightly more complicated as generally the film will have been cut. Don't worry though, we still offer a full range of film services. Refresh your old negatives with new prints & scans. Perhaps you’ve just dusted off one of your film archive binders and found an amazing shot, long forgotten. Or maybe you regret choosing ‘processing only’ for a recently developed film. Whatever the reason, we offer a full range of analogue services for films that have already been processed. If you have a desire to produce a print or scan from one of your pre-processed film frames, feel free to pick and choose exactly what you want and when you want it. When a shot deserves it, make a print. Well kept negatives age extremely well. Cut, sleeved and archived away in a private collection they lay dormant, awaiting a chance to regale you with memories of days long past. As emotions swell, something stirs within us and motivates us to dignify this beautiful frame with a print. What better way is there to doff your hat to a cherished film? Treating yourself to a print which you can frame or share with others is a wonderful way to step back in time. But how does this work? The film is already processed and sleeved. Regardless of your film being cut into strips or even mounted (an E6 slide film), we can produce a high quality, colour calibrated print for you at a variety of sizes. If you want five 6×4 inch prints producing from a single frame, these five prints will be charged at 75p each. If you have two single frames and want one 6×4 inch print from each single frame, these two prints will be charged at £1.00 each. As you can see, multiple prints from the same single frame benefit from a quantity discount. For more information, feel free to Contact Us. Drag your processed film into the 21st century. So you’ve dusted off your film binder and flicked through page after page of sleeved negatives. Suddenly a particular frame catches your eye and you think “so and so would love a copy of this emailing over”. Questions rush through your mind, ‘how can I scan it?’, ‘will it be expensive?’ or perhaps ‘how big do I need to scan it?’. We’re here to help answer these questions for you. Scanning film that was processed some time ago is no different to scanning a freshly developed roll, it just takes a bit longer. 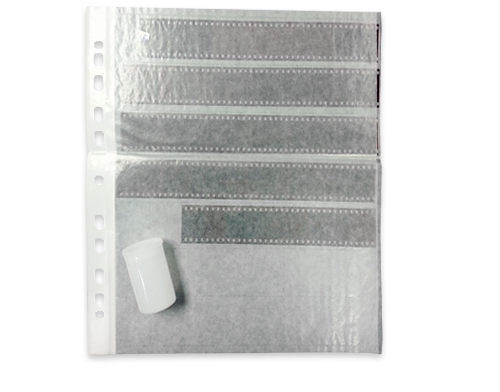 As the film has been cut into smaller strips, there is more labour involved or in the case of mounted slides, we may need to remove the negative from the slide mount. Essentially, we can treat your older film as any other film (with the care and attention you would expect from a professional lab). If you simply want a digital copy of your frame for emailing or sharing on social networks, our 6 inch scan will be more than good enough. You can even print from this scan up to around 9×6 inches. For larger prints our 12 inch scan is a cost effective way to produce a file which can be printed at A3 or below. If you would like to print even larger, our Imacon scans produce the greatest clarity and resolution. As there is more labour involved, prices are based on scanning a single frame (not a whole roll of film for a single fixed price). In some cases we can offer a quantity discount on scanning, so please Contact Us if you have a large amount to scan.